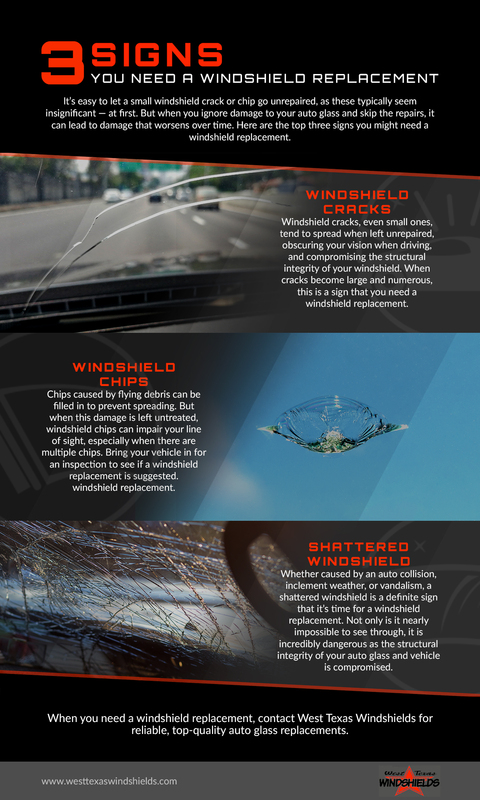 Is your windshield riddled with small chips and cracks? Does your auto glass have several small cracks that are starting to splinter and spread? Has your vehicle been damaged in an auto accident and your windshield is completely shattered? If you answered “yes” to any of these questions, it is time to have an expert windshield and auto glass technician inspect your damaged auto glass, and provide you with a professional windshield repair and replacement. As the Top Rated Local® windshield repair and replacement experts, our team at West Texas Windshields is here to get you back on the road in a safe vehicle with a secure, damage-free windshield. As the trusted local auto glass experts in West Texas, our team of skilled and knowledgeable technicians has been providing communities in and around Odessa and Midland with exceptional windshield repairs and replacements, backed by friendly and efficient customer service, since 1991. We founded our auto glass replacement and repair shop with an unwavering dedication to honesty and integrity, which we continue to uphold as the pillars of our company. 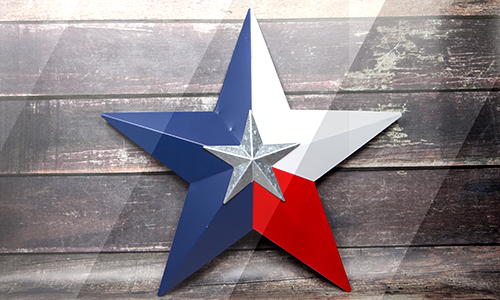 We are also wholly committed to providing residents in our West Texas communities with the highest quality auto glass services at a fair price and backed by a lifetime guarantee. We are the largest, local, family-owned and operated auto glass company in Texas, providing exceptional customer service and auto glass services at six locations: Andrews, Fort Stockton, Midland, East Odessa, and West Odessa. Please continue reading below to learn why you can rely on us for Top Rated Local® windshield replacement in Odessa, Midland, and the surrounding towns and communities. Our company was founded by owner and manager, Bill Avery, in 1991. What started out as a one-man, door-to-door rock chip repair service would soon flourish into the largest family-owned auto glass company in West Texas. Bill knew he wanted to use his skills as a knowledgeable auto glass technician to help others. He built his company with the intention of providing accessible, affordable, comprehensive auto glass services of the highest quality to numerous West Texas communities. He now has six windshield replacement and repair shops peppered across 32 counties in West Texas, employs 27-plus windshield installers and technicians, and remains devoted to providing only the best customer service with each and every auto glass service. Bill considers his entire team of managers, support staff, and technicians family, and treats every single customer as if they are family, “best-friends” even. At West Texas Windshields, we stand by our united commitment to provide immediate auto glass services, backed by kind and friendly customer service, decades of experience, a dedication to getting the job done right the first time, and quality work that is 100 percent guaranteed. For a quick and reliable windshield replacement in Odessa, Midland, or any other service location, contact West Texas Windshields today! Looking for mobile windshield replacement and auto glass repairs? No problem! Call us to schedule an appointment for a mobile auto glass service and let us come to you! Probably one of the worst mistakes you can make is to ignore your broken windshield, rear window, or side windows. Many people often assume a small windshield chip or tiny crack is no big deal and they ignore it. However, the damage to your auto glass won’t just go away. In fact, it almost always gets worse. Small chips that seemed insignificant, at first, usually splinter off into numerous fissures that often turn into larger cracks that cover the length of your car windshield. This is problematic, as splintered glass severely weakens the structural integrity of your auto glass, which can lead to a shattered windshield. What’s more, because the auto glass is in a vulnerable state, something as small as a pebble hitting the damaged glass, or driving over a bump in the road, can mean disaster for your windshield. This places you, your loved ones, and others on the road, in danger, so don’t ignore your damaged auto glass! It’s just not worth the risk. In an attempt to save some money, many people try using DIY windshield repair kits to fix their broken auto glass, only to find out the materials included were ineffective, the tools were unreliable, and that it’s not as easy of a fix as they had initially thought. We get it. DIY projects are all the rage right now, however, some things, like auto glass repairs, should be left to the experts. DIY auto glass repair kits don’t include the intensive training, the decades of experience, and the professional-grade equipment and materials required to fix a broken windshield. Instead, trust a friendly, expert technician at West Texas Windshields for all your windshield and auto glass repairs. There are a plethora of helpful video tutorials out there created by well-intentioned professionals and amateurs alike. And while auto glass repair tutorials may seem reliable, you don’t always know if the person making the video is a professional technician or just some average person offering their own tips that may or not work. First off, most people search through several of these videos before finally settling on one that looks the most legitimate, which can take up hours of your time. Second, unless the person who made the video provides their viewers with credentials and links to their company site, it is very difficult to decipher whether or not they’re an expert in the auto glass field. Third, you may not have access to the proper tools and materials needed to perform the auto glass repair. And finally, more times than not, these videos make the repair process look much easier and quicker than it actually is. Save yourself the trouble and call a West Texas Windshields pro instead! Proper training, licensure, decades of experience, top-notch customer service, conveniently-located service shops, and access to the best, cutting-edge tools. These are all the things you should expect from an auto glass company when you’re in need of a repair or replacement. Unfortunately, because of time constraints or other reasons, many people choose the first auto glass company they search, rather than doing their research on a company beforehand. Your vehicle is an investment, maybe one of the biggest investments you’ll make. Therefore, you’ll want to take your vehicle to a reputable auto glass shop that you can trust to repair or replace your damaged auto glass. Always choose a trustworthy auto glass company with friendly, licensed, experienced auto glass technicians for all your auto glass repairs. Don’t make these common mistakes when you have damaged auto glass. Instead, call West Texas Windshields for efficient auto glass repairs and replacements from friendly, professional technicians. We strive to provide our customers in Odessa, Midland, and other West Texas communities with convenient and affordable auto glass repairs and windshield replacements that are of the highest quality. Here at West Texas Windshields, we provide auto glass repair and replacement services that are second to none. We stand by our promise to not only provide outstanding customer service at every service location, and with every mobile auto glass service, but we also remain committed to providing our customers with immediate service so you don’t have to drive around with a damaged windshield for extended periods of time. Your safety is our main concern, which is why we will get you in for an auto glass service right away. But don’t think that just because we provide fast and friendly service to each and every customer that we sacrifice quality and efficiency by any means—it’s just the opposite, in fact. Because your safety, and the safety of your loved ones is our priority, we guarantee that each service is performed by licensed windshield technicians, in the most efficient manner possible. We want every customer to feel as if they are part of our West Texas Windshields family by taking care of you as if you are family. At West Texas Windshields, we look out for family, and will, therefore, always ensure the highest quality windshield installation and auto glass repair. Let’s take a look at the auto glass services we provide at each of our West Texas locations. Between work, school, running errands, and keeping up with all things life, it can be difficult to bring your vehicle in for an auto glass service. That’s why we strive to make our auto glass services convenient for all of residents living in West Texas. If you are unable to bring your car in for a windshield replacement in Odessa, Midland, or any other location, we can come to you! Our mobile windshield technicians can bring their skill, expertise, and state-of-the-art equipment to your home, school, place of business, or any other desired location to perform a top-quality windshield replacement or auto glass repair. 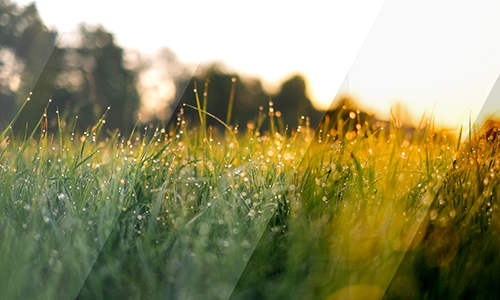 Simply choose the best time and location that works for you and our mobile auto glass team will meet you. Just because we come to you to perform an auto glass service on your vehicle does not mean we sacrifice on quality, efficiency, or guarantees; we stand by our commitment to always provide first-rate car window repairs, windshield replacements, and more, even with our mobile auto glass services. You Can Count on West Texas Windshields! No matter which windshield replacement or auto glass repair service your vehicle requires, our expert windshield technicians and installers can get the job done quickly and efficiently. If you live in West Texas, call our friendly auto glass team for a Top Rated® auto glass replacement and/or windshield repair so you can get back on the roadin safety. You can fill out the form below to schedule an appointment at the desired service location. "I appreciate them for working on the mechanics, too"
Any damage to your car’s auto glass could be a cause for a replacement, but in many cases, a windshield repair or auto glass repair will be an effective solution. Here are some of the most common reasons why you might consider having your windshield repaired, rather than having it replaced. With the amount of debris on West Texas roads and highways like rocks, dust, and fallen objects, windshields become scratched, chipped, and dinged quite easily. While these damages can become a much more serious issue if left unrepaired, it doesn’t necessarily mean you will need to completely replace your your windshield. One of our skilled auto glass technicians can inspect the damage to determine the severity, and whether or not it can be repaired. In most cases, a windshield repair will do the trick to fix these damages. When the damage to your windshield or side auto glass is located in an area that does not obstruct your line of sight when driving, an auto glass repair may be sufficient. The last thing you want is to be driving down the road with a large chip right in your line of vision. 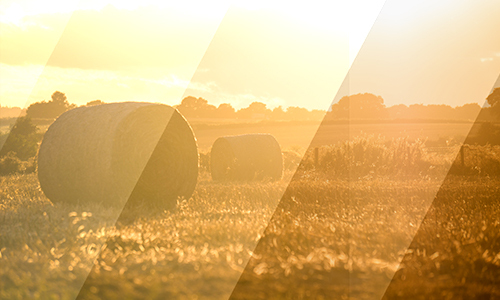 Not only can this make it difficult to see clearly what’s in front of you, but chips can catch the rays of the sun, causing a piercing glare that could temporarily impair your vision. As long as the damage is not directly in front of you, a repair could be the answer to your problem. Smaller chips and cracks can be less distracting than larger cracks and splits that run the length of your windshield. Smaller amounts of damage also place less stress on the structural integrity of your auto glass, meaning a windshield replacement may not be necessary. Keep in mind that while the initial damage may be small and seem slightly insignificant at first, it will most likely grow into more significant damage due to changes in temperature, severe weather conditions, and from being hit by other debris when driving. What’s more, the damage will likely worsen if it is not repaired soon after it is initially damaged. Why Get a Windshield Replacement? There are serious risks involved in driving a vehicle that has significant damage to the windshield, side windows, rear window, or side mirrors. Aside from the simple fact that a damaged car window can severely impair your line of sight, driving a vehicle with damaged auto glass places you, your loved ones, and others on the road in danger. Here are a few reasons why you may opt for a windshield replacement, rather than a windshield repair. Small rock chips are one thing, but when your windshield has a large chip or crack in it, chances are, you probably can’t see very well out of your auto glass. Maybe one of the neighborhood kids hit a baseball into your windshield, leaving a huge crack or dent in your auto glass. Or maybe that small rock chip you got a few months back splintered and turned into a much larger crack. No matter the case, if the chip or crack in your windshield is significant, bring it in to one of our six locations for a windshield inspection and fair service estimate for a windshield replacement. Sometimes, the epoxy holding your windshield or other car windows in place fails over time since your last repair or replacement, or as a result of the elements. When this happens, this could allow water leaks, dust, and other unwanted items into your vehicle, which could become a driving distraction. In many cases, the epoxy can be repaired, but in more severe cases, you’ll want to have your windshield inspected by one of our licensed professionals, who will give you their honest recommendation for the best solution. If your auto glass is completely shattered due to an auto accident, theft, or other damage, you’ll want to have your windshield replaced immediately, as the structural integrity of your windshield may be compromised. Driving with a shattered windshield or car window is not only dangerous, but also illegal. Call us for a windshield replacement, as a professional auto glass installation with our team comes with a lifetime guarantee. An auto glass replacement will also have you driving in a much safer vehicle. Driving with a shattered or severely damaged auto glass is simply not worth the risk. the West Texas Windshields team can get you in for an auto glass service immediately at one of our six locations nearest to you. When you search “windshield replacement near me,” choose the Top Rated Local® windshield replacement teams in Odessa, Midland, Andrews, and Fort Stockton. We want all our West Texas to have easy access to the best windshield and auto glass services at an affordable rate. We guarantee all of our services and are committed to providing honest, reliable, top-quality windshield replacements and auto glass repairs to all our communities. Call us today! Have additional questions about our windshield replacements, windshield repairs, and other auto glass services? Check out our FAQs page! As always, you can always call our helpful team with any other questions or concerns you may have.